For those that want super charged shine. TIGI Bed Head Recharge Shampoo is an anti-oxidant rich shampoo that removes pollutants, sweat and build-up to reveal super reflective shine and dazzling results. 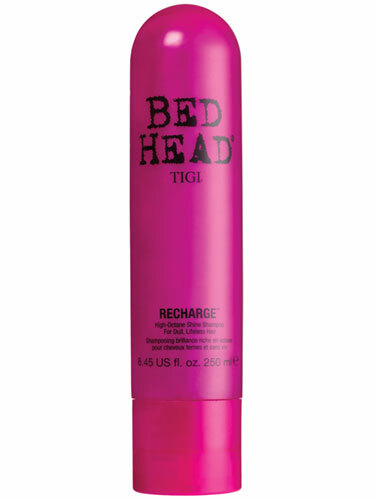 TIGI Bed Head Recharge Shampoo smooths hair and adds shine, and is high in anti-oxidants to maintain healthy hair. Wet hair thoroughly, lather TIGI Bed Head Recharge Shampoo and rinse out.